Analog and Vinyl won the hearts of the committee with its surprisingly humorous take on the lost and brokenhearted. The committee loved the modern and eclectic score. This small cast musical is sure to find its target among NAMT audiences. Analog and Vinyl has had three readings. The first reading was in 2010 at Smash Studios. In 2011, the show was in the Ken Davenport Reading Series. Most recently Analog and Vinyl was part of the York Theatre Development Series. 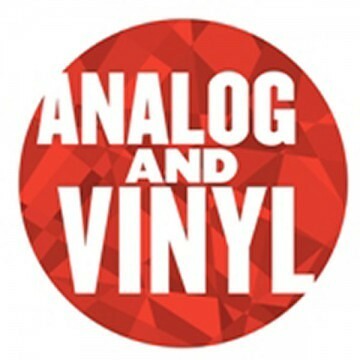 Analog and Vinyl is a four-person indie rock musical with a four-piece band that has very few technical requirements and can be done with a simple unit set. We are looking for our first production, producing partners and creative ideas for how the show can best move forward. Analog and Vinyl has a smart melodic score influenced by Elvis Costello, Ben Folds, Stephen Sondheim, The Beatles and Brian Wilson. Analog and Vinyl is a quirky romantic comedy asking serious metaphysical and philosophical questions. Woody Allen meets Nick Hornby. Composer Paul Gordon has had success both on Broadway and in regional theater (Tony nomination for Jane Eyre, Ovation Award for Daddy Long Legs, Bay Area Critics Circle Award forEmma) and in pop music (two number one pop songs, many gold and platinum records) and is thrilled to finally showcase his pop music side here at NAMT. Analog and Vinyl doesn’t take itself too seriously. It’s a show that will appeal to twenty-somethings, thirty-somethings and especially the Baby Boomers (and their kids). Its songs are melodic and catchy with intelligent lyrics — and as a one act 80 minute musical — you’ll still be home in plenty of time to watch The Daily Show.